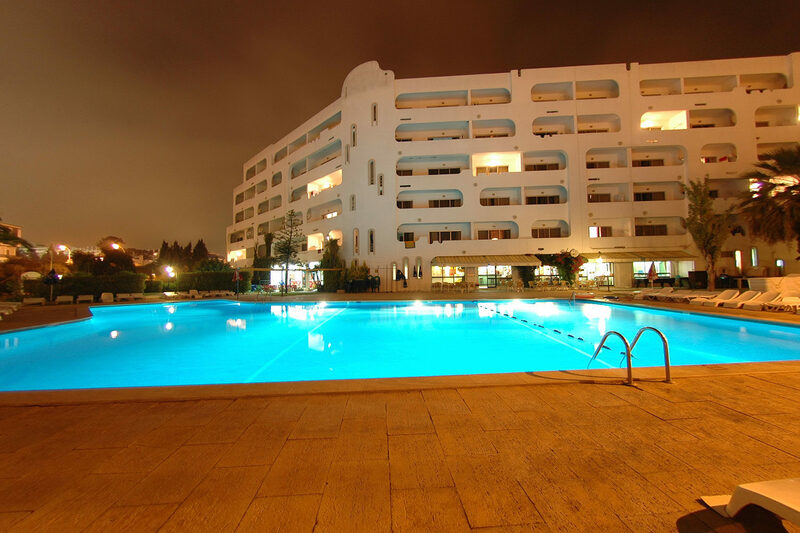 Silchoro Apartments is tucked away in a quiet spot in the Montechoro area of Albufeira. 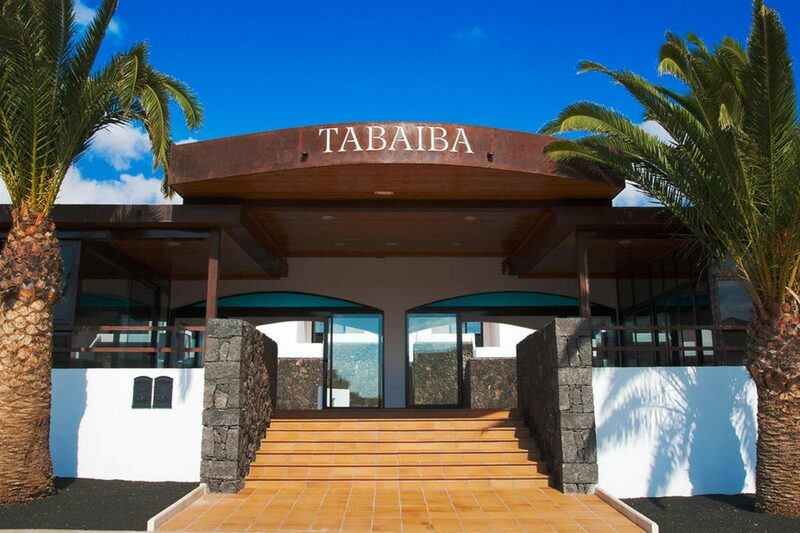 These apartments combine a wealth of on-site facilities with tasty dining venues and comfortable accommodations. The pool area is the star of the show during the daytime. Sunbed-filled terraces and gardens line the water's edge - perfect for relaxing times working on your tan. The little ones have their own pool to splash around in too. If you fancy a day on the beach, hop on the complimentary shuttle bus, and you'll be there in minutes. On dry land, uncover a playground and games room for the kids, and a tennis court for adults. The guest apartments are comfy and come with lots of modern facilities to enhance your stay, including a kitchenette to rustle up snacks, and balcony or terrace. As for food and drink, you have a great restaurant with a menu of culinary treats, as well as a bar available for hot and cold drinks. Evening entertainment brings your day to a close in style, while a short stroll away is the main Oura strip with its bustling bars and restaurants. 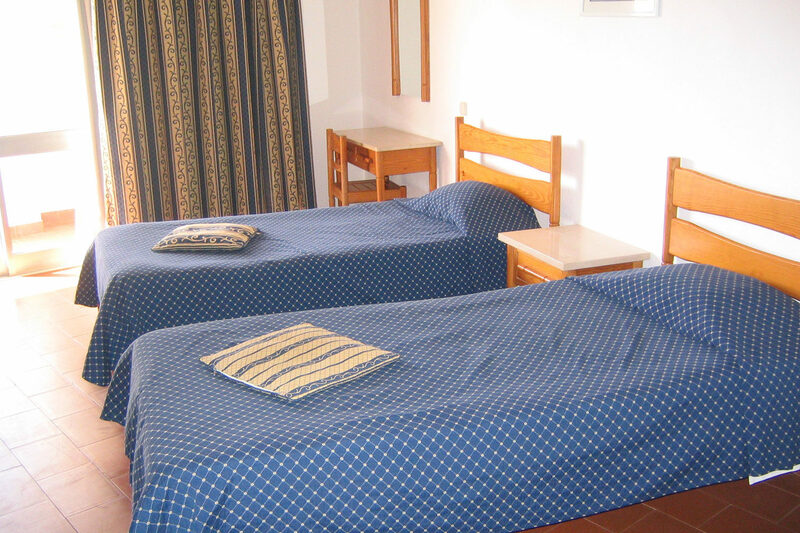 Discover why Silchoro Apartments is a popular place to stay for holidays in Portugal. 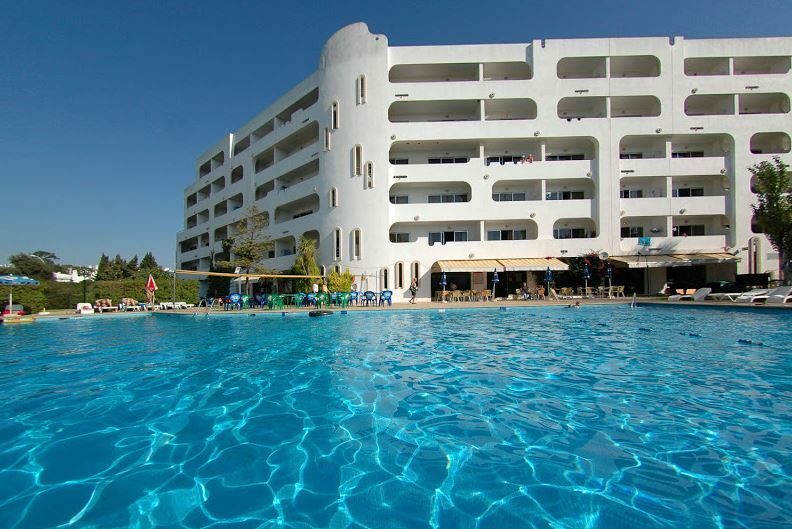 Facilities here include: large outdoor swimming pool, sun terraces, sunbeds, parasols, children's pool, and gardens. You also have a restaurant, bar, library, Internet room, daytime animation programme, mini market, games room, multi-sports court, gift shop, tennis court, and playground. 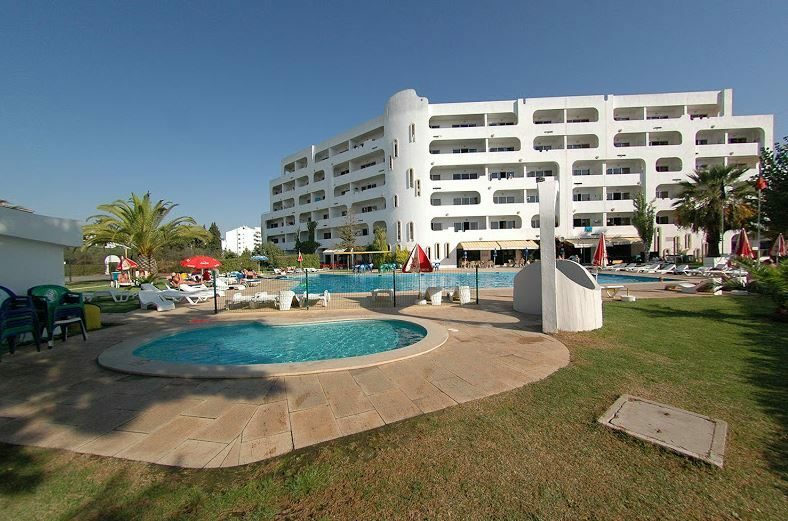 There's also a free car park and complimentary shuttle bus to the beach and Albufeira. The 24-hour reception offers currency exchange, safes, taxis, and medical service, as well as car, bike and motorcycle rental. This apartment complex has 135 guest units, including: studios, one-bedroom apartments and two-bedroom apartments. Studios feature: bathroom, two sofa beds, terrace or balcony, and kitchenette with cooker, microwave, fridge, toaster, and kettle. 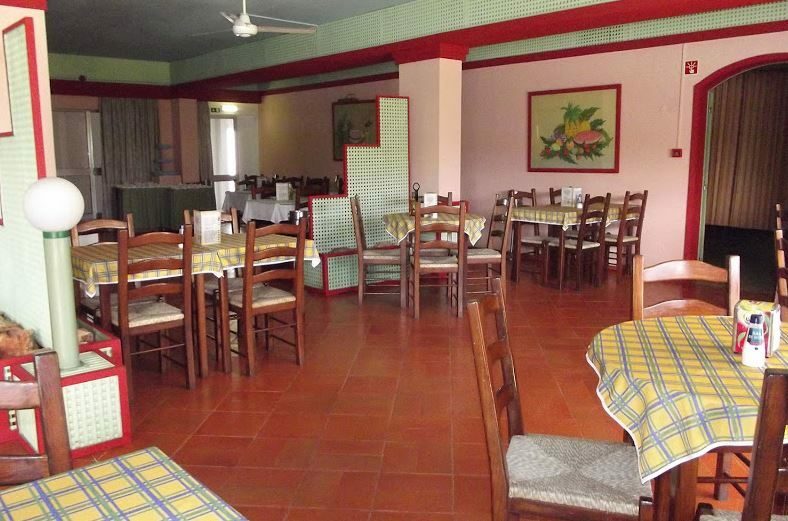 The main restaurant serves local and international dishes to savour. 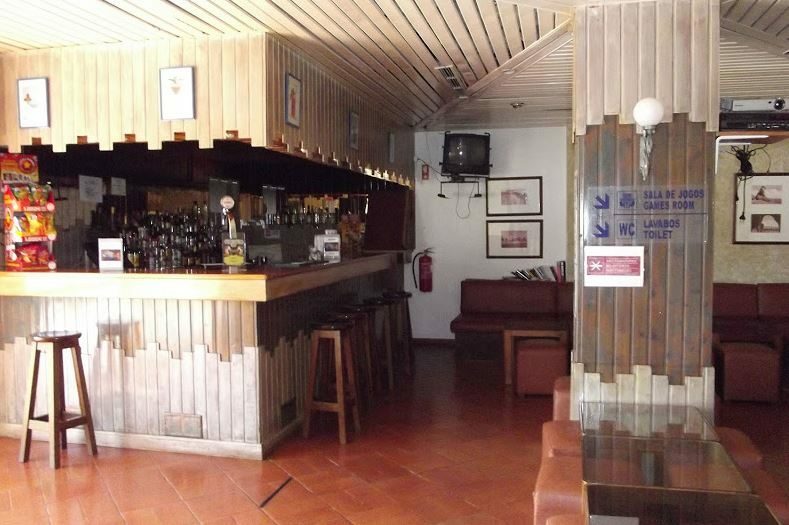 The bar offers a satellite TV and a full menu of drinks and cocktails. Occasional evening entertainment includes live music and shows. Accomodation good,but basic, Cleaners came in at 5o'clock (tea Time) . Clean basic spacious apartments. Yes they are dated but it's portugal after all. Good Base for getting around albufeira. Staff very friendly, always helpful when you needed to find anything out. Apartment very basic but clean and tidy. Free transport to the old town and back three times a day. Good location, shame there was no air con. We stayed in a studio and it was so tired and dated, the sofas which also doubled as the bed, really need updating as they were so uncomfortable. The pillows were shocking so flat. The room was clean without a doubt. At the end of the day you get what you pay for and if all your after is somewhere to lay your head at the end of the day, even if the pillows and mattresses are poor, then these are the apartments for you. The staff are lovely and friendly and were very helpful to say the least. We were self catering so only had a couple of snacks there but they were ok. The pool is lovely and there were plenty of sunbeds and space to put them. There is a free mini bus which runs from the apartments 3 times day 10 am, 2pm and 5pm which takes you to the beach at the old town. At the end of the day they are old and dated and a little run down but if I had to I would stay there again, it wasn't a nightmare. It isn't a 5 * hotel, so you get what you pay for. But we have been back 4 times in past 18 months and have been comfortable and quite happy. Staff have always been friendly and helpful. Rooms were average and dated, but everything else was good.